London’s Jonny Miller has spent the last 22 years immersed in the underground electronic music scene. His roots lie in the early nineties dance music scene and over the years his sound has moved with ease between the genres. In a Jonny Miller DJ set you’ll hear broken beat, classic disco, downtempo, forward thinking bass music and of course - the soulful deep house groove. The last few years have been a very busy for Jonny, DJing at The infamous Southport Weekender and presenting their radio show, working on his own deep, soulful house productions and remixes for likes of Soul Candi and The Atjazz Record Company and engineering for New York’s Victor Simonelli. 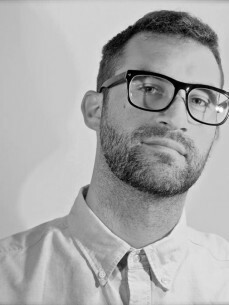 Jonny is also DJing regularly across South Africa including guest slots at Soweto’s legendary Thesis Social Jam, Cape Town's Fiction and Assembly and whenever he's in Johannesburg, Kid Fonque’s 2Side’s of the Beat party. His music production releases and remixes have graced a diverse range of labels over the years, imprints such as WahWah45s, 4hero’s Twisted Funk Records, Zed Bias’ Phuture Lounge Recordings, Balearic label Fascinating Rhythms and NY’s West Side Records, to name but a few. When he’s not making music, Jonny teaches music production at the world famous Point Blank music school in London, he also runs the well-respected Sonarpilot Audio label and has overseen releases from the likes of Danny J Lewis, Ramadanman, Marcus Intalex, Simbad, Kay Suzuki and Oriol.